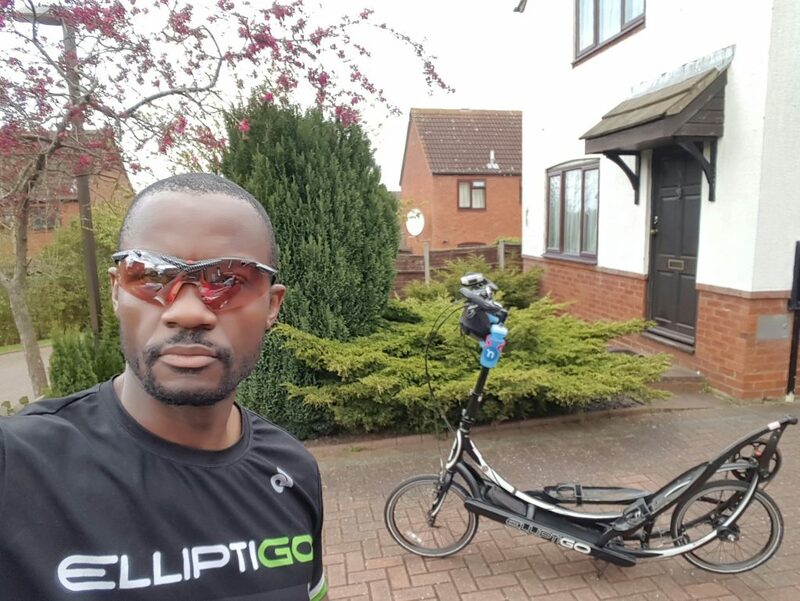 I was recently contacted by a cyclist and Ironman triathlete, who was interested in taking up ElliptiGO endurance training, but had wanted to weigh up the cost-benefits of the two top-end ElliptiGO bikes (the ElliptiGO 8C and the ElliptiGO 11R). Because this specific sort of inquiry has become more and more common in recent months I thought it warranted it’s own Q & A article, so that like-minded endurance cyclists or Ironman triathletes can refer to my answers in future. Everyone probably asks you this Idai. Sorry to be so boring! I’m an Ironman, in my 40’s – and I do many endurance events – but mainly long distance solo bike rides (1,200km in 5 days for example). I hate road running and I hate training for runs even more, but I need to. I also have knee injuries, so too much impact is not good for me in training. I really liked your YouTube films and obviously I really like the ElliptiGO. Q 1. I want to use the ElliptiGO to accompany ‘ordinary level’ cyclists (2* and 3*) and keep with them over say 25-miles, by working super hard. Is this realistic on the ElliptiGO 8C? A. Yes, this can probably be done on the ElliptiGO 8C – especially by a cyclist of your calibre (who does 24mph pace on a road bike, on flattish courses). Where an ElliptiGO rider usually struggles the most to keep pace with ‘ordinary level’ cyclists is on the downhill and flat stretches of any ride. But riding up hills, on either the ElliptiGO 8C or ElliptiGO 11R, is actually not as challenging as keeping up with road cyclists on flat ground – or down hills. It is challenging keeping up with decent road cyclists when riding an ElliptiGO, but hardest to do on the flats – and especially down the hills. The downhill stretches are also the sections where the ElliptiGO 8C will make for harder work than the ElliptiGO 11R – because it has lower top-end gearing. A ‘cheap’ way around this disadvantage is to do what one of my training partners has done recently. He put a larger 60-tooth chain ring onto his ElliptiGO 8C (to gear it up to more closely match the ElliptiGO 11R top-end gearing). Of course, fitting a bigger chain ring to the ElliptiGO 8C takes away the low-end gearing (and climbing ability), so on hills above 15% incline he’ll definitely notice the reduction in his climbing ability. But in our area this is not much of an issue, the hills are not usually that steep. He can still scale 20% slopes with the 60-tooth chain ring – but on the steepest hills I think he’d not climb as well as he would on the standard ElliptiGO 8C gearing. Q2. I’d like to attempt to ride about 200km per day in a solo bike tour of at least 1,200km in length (a similar distance to your LEL, LEJOG or PBP rides). Is the ElliptiGO 8C bike suitable for this type of ride? A. Yes, the ElliptiGO 8C is suitable for this type of ride. The ElliptiGO 11R is definitely ‘more suitable’ – but the job can still be done on the ElliptiGO 8C as well. Here is an example of a 200km per day ElliptiGO ride, in which one of the riders was on the ElliptiGO 8C (and he was able to climb all the 25% hill slopes along the way)! Q3. Can I do LEJOG on the ElliptiGO 8C? A number of people have done LEJOG on both the ElliptiGO 8C and the ElliptiGO 11R. Two riders completed the 765-mile Paris Brest Paris (PBP) – in under 90 hours – in 2015, riding 8-speed ElliptiGO bikes. And one rider completed the 900-mile London-Edinburgh-London (LEL) – in under 5 days – on an 8-speed ElliptiGO. Those are BOTH similar challenges to riding LEJOG. The caveat here is that the ElliptiGO 11R allows you to perform better in such challenges than you would if you were riding the ElliptioGO 8C – but that does not mean the challenges cannot be done on the ElliptiGO 8C as well. Q4. On 3 days of each week I would like to do a one-hour training run, at full burn, on the ElliptiGO. Is the ElliptiGO 8C suitable for that? A. Yes, the ElliptiGO 8C is good for that type of training. In fact, such short and intense time-trials are among the most satisfying and rewarding training sessions you can do on any model of ElliptiGO bike (giving the most fitness return for the least time investment). Periodise your training if you aim to train this way – do not launch into it when you first start riding the ElliptiGO. If you do not build up gradually, over a full season, this approach to training will almost certainly burn you out – or cause you to develop illness and injuries from your other sporting training. Q5. I measure well over 6′ in height, does this have any bearing on whether or not I should choose the ElliptiGO 8C or ElliptiGO 11R. A. No, your height has no bearing on which ElliptiGO bike you should choose. The 8C and 11R are both long-stride ElliptiGO bikes – so they have the same frame, stride length and handlebar height range. In fact, all ElliptiGO bike models are designed to accommodate riders from 5′ tall to 6’8″. Q6. If you were planning to do all the activities listed above, would you cope with an 8-speed ElliptiGO? In fact, before the 11R was released in 2012, I had only used an 8-speed ElliptiGO – and I was fine with it. That was actually the only time I was part of a conventional cycling club, as an ElliptiGO rider. I used to ride with the CTC every Sunday, on my 8-speed ElliptiGO. I had no trouble keeping up with the group – and because I was one of the youngest riders in the group, I was also one of the fastest riders when going up the hills. And, as mentioned earlier, when we took on our biggest endurance project in 2013 (the 1400km LEL – which was completed in under 5 days), I was the only rider on an ElliptiGO 11R. Similarly, our most successful endurance project to date was the 1,230km (765-miles) PBP, 2015 which was completed by 6 ElliptiGO riders in under 90 hours (two of whom were on 8-speed versions of the ElliptiGO). In 2015, I rode the 600km Windsor Chester Windsor Audax in under 40 hours, on the ElliptiGO 8C… Yes, I was often at the back of the ElliptiGO group, but we all finished together! Your road bike pace suggests you’re well above average in your cycling ability and I expect your capabilities on the ElliptiGO would be well above average as well. The ElliptiGO 11R is definitely the best performing ElliptiGO bike, it does not cost more than the ElliptiGO 8C for no reason! However, the ElliptiGO 8C probably gives the best value for money when their prices are compared – and for an athlete of your ability the things you want to do are likely to be achievable on the ElliptiGO 8C. Using conventional bikes as an analogy to compare all the different ElliptiGO bikes, I would compare riding the long-stride ElliptiGO 8C or 11R to riding a road bike and riding the compact-stride ElliptiGO Arc bikes to riding a mountain bike. The pace, range and efficiency are very different between the long-stride and compact-stride ElliptiGO versions. But comparing the ElliptiGO 8C and ElliptiGO 11R (both of which are long-stride ElliptiGO bikes) is more like comparing a standard touring bike to a top-spec road bike – they are variations on a similar theme. I always say “GO for the best bike that you can afford”. So if you cannot afford the best bike in the range, GO for the next best one. I think it’s the same scenario as if you have a family of 4 and you want a 6 bedroom house with an indoor pool – but you cannot afford it. Rather than going homeless, just get a decent 4 bedroom house – without an indoor pool – if it happens to fall within your budget. You can still live a perfectly decent life in that 4 bedroom house as well! Hopefully this casts more clarity on the issues raised? *Are you looking for the next step up in your endurance challenges? 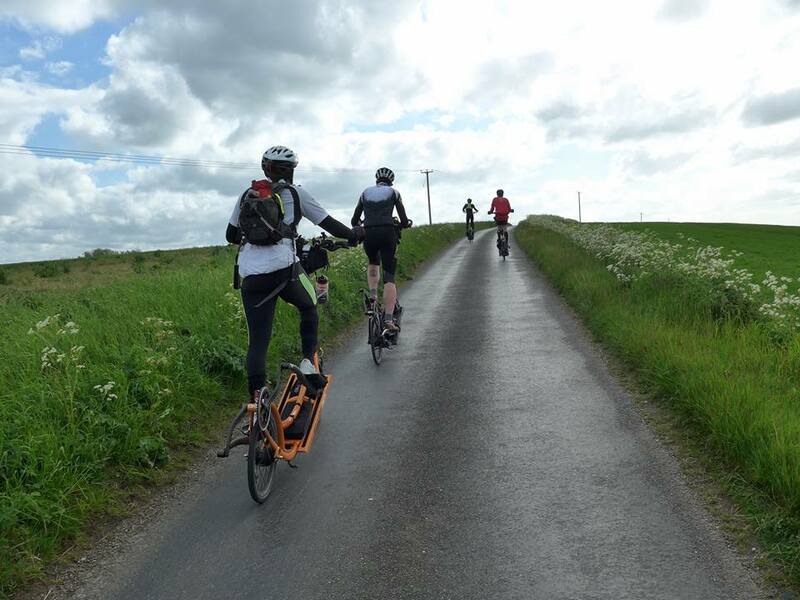 Then why not consider taking on Audax long-distance Cycling Challenges on the ElliptiGO?